The community hopes the event will attract new business with a $10,000 forgivable loan and $7,000 in in-kind services. The Gray-New Gloucester Development Corp. hopes to attract entrepreneurs to the area with a “Shark Tank”-style business pitch competition that will award a $10,000 forgivable loan to the winner. Contestants in the Grow GNG competition must submit a plan to open or expand a business in Gray or New Gloucester and be willing to commit $10,000 of their own money in it, said the development group’s president, Tracy Scheckel. Scheckel said Grow GNG is modeled after similar competitions in Maine, such as Biddeford’s downtown revitalization initiative, Heart of Biddeford, but it differs in that the winner of Grow GNG may locate the business in any part of either Gray or New Gloucester. Tracy Scheckel of the Gray-New Gloucester Development Corp. The winner of the competition will be awarded a $10,000 forgivable loan, and about $7,000 worth of in-kind professional services ranging from legal advice to interior design, one year of phone and Internet service, photography services, Web consulting and three months of free rent. For the loan to be forgiven, the winner must meet certain milestones such as opening the business by May 2017 and hiring the equivalent of two full-time employees within three years of operation. Other requirements include periodic financial reporting to the development group, making timely interest-only payments on the loan, and regular consultations with a business mentor, Scheckel said. “The point is, we want them to succeed,” she said. Any type of business may enter the contest, she said. The only requirement is that it must be new to the Gray-New Gloucester area. 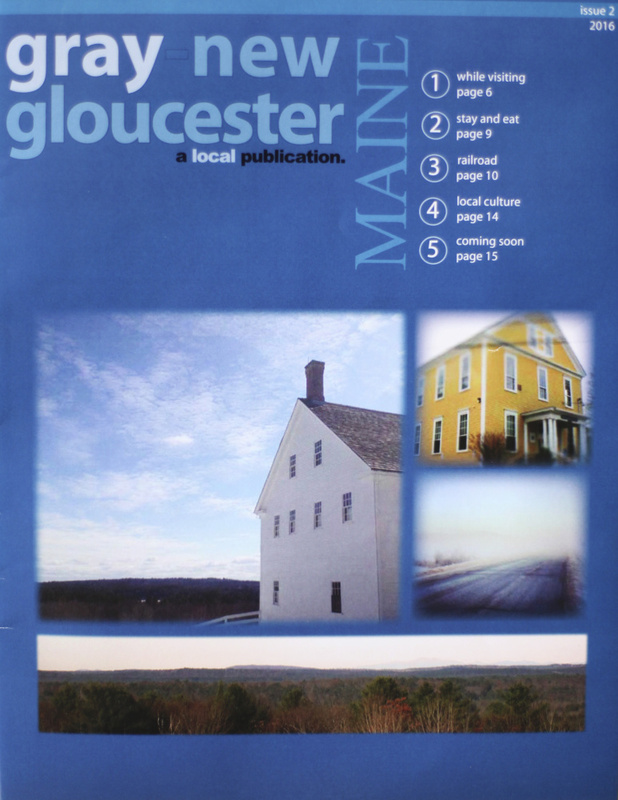 An existing business in Gray or New Gloucester can apply to open a new side business, but not to expand its current operation. Contestants will be judged in three rounds, Scheckel said. In the first round, each must submit a one- to two-page “business concept proposal” that will be evaluated by a panel of judges based on criteria such as the applicant’s background, the viability of the business and whether it would be a good fit for the community. 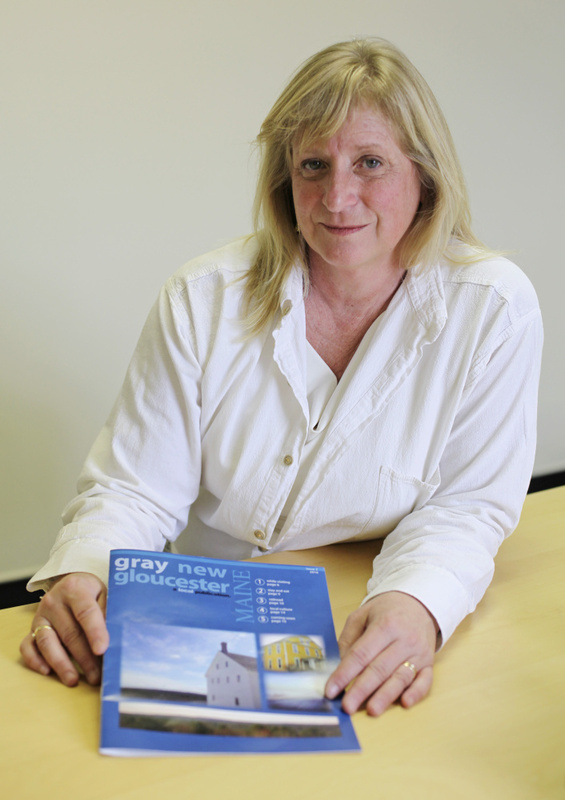 Tracy Scheckel of the Gray New Gloucester Development Corp. is helping to organize a contest for entrepreneurs. Up to 10 applicants will then advance to the second round, which requires the submission of a more detailed business plan. The panel will then select three finalists, who will be required to pitch their business idea to the judges directly. “Like ‘Shark Tank,’ but friendlier,” Scheckel said, referring to the popular TV show, which features entrepreneurs competing for venture capital. The $10,000 prize comes from $5,000 generated by advertising revenue in the development group’s annual magazine, and a $5,000 donation from Androscoggin Bank, she said. The bank also has agreed to help qualified entrepreneurs seek additional financing if they need it. Scheckel said the primary goal of the contest is to get entrepreneurs thinking about Gray and New Gloucester as potential locations for their next business. “I hope this helps,” she said. Those interested in entering the contest can find more information or download an application at the Development Corp.’s website, gngdc.com. Applications are due by June 30, and the winner is expected to be announced in September.